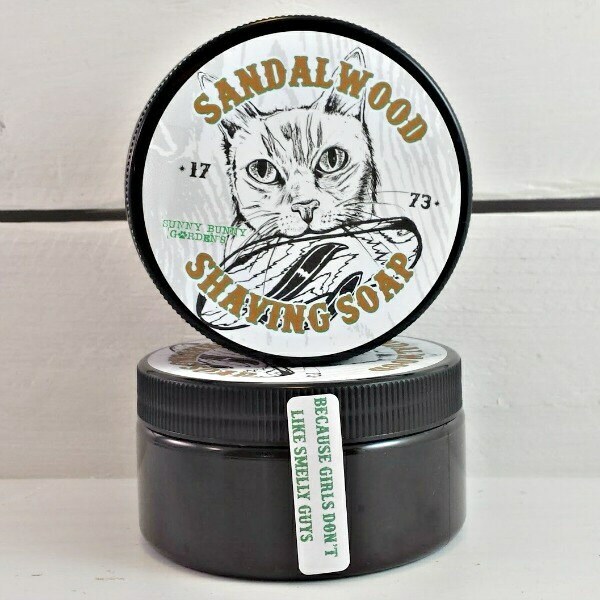 Our handmade organic glycerin shave soap has the rich complexity of real sandalwood, none of the false chemical notes from the synthetic fragrance. This is one of the most "guy" friendly of all the soaps in my collection. 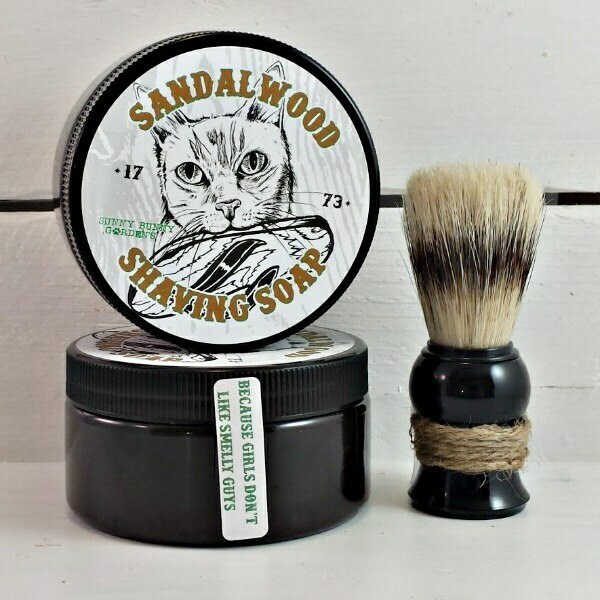 I have never met a guy who did not like this shave soap scent! Husband likes this soap and we both like the mission of this shop! 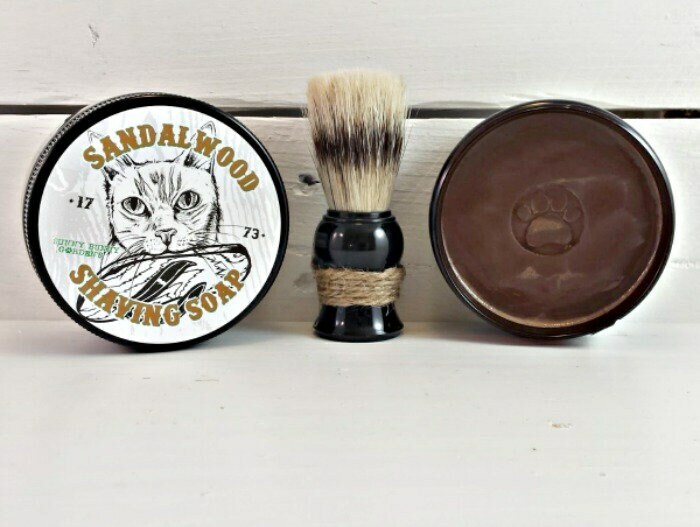 Smells lovely, and care shown with packaging!